Remembering Violet Heffron Smith | Remembering Violet Heffron Smith | De Soto Obituary Search | Dietrich-Mothershead Funeral Home, Inc. Remembering Violet Heffron Smith | De Soto Obituary Search | Dietrich-Mothershead Funeral Home, Inc.
Violet Erna Heffron Smith was born in De Soto on February 10, 1929 a daughter to Joseph and Edith (nee Hamilton) Wilkinson. 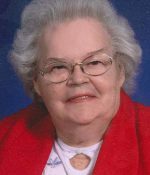 She died on January 18, 2018 at de Greef Hospice House in St. Louis County at the age of 89. She was united in marriage to James Wallace Heffron on June 27, 1946. Mr. Heffron died on July 14, 1966 at the age of 42. Violet and James had four children: Ronald Lee, Kathryn Diane, Gary Wayne, and Randall Alan. She married again in 1979 to Marvin E. Smith who died in 1982. Violet worked for Oakes Five and Dime, Fo Jo Studio, Brown Shoe Company, Potosi, and as a beautician at the Best of Beauty Salon. 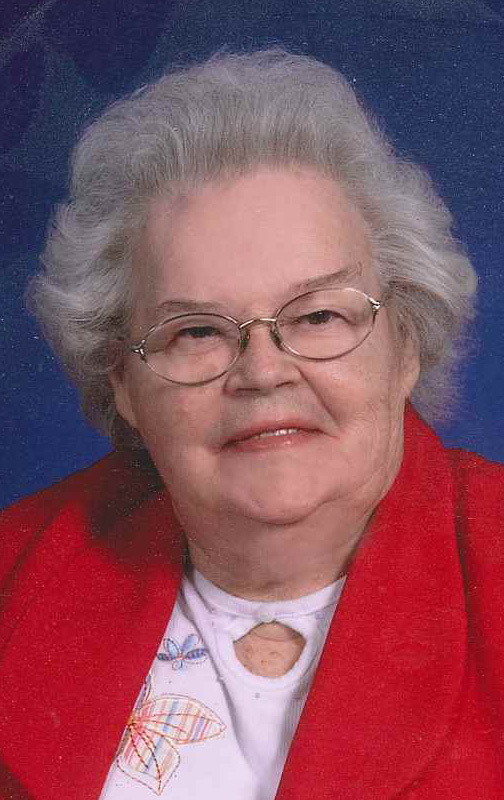 She was a member of the De Soto Christian Church where she served as pianist for 63 years. She is survived by her daughter: Kathryn Diane (Tom) Brooks, O’Fallon, MO; two sons: Gary Wayne (Judy) Heffron, De Soto, and Randall Alan (Nancy) Heffron, Blackwell; nine grandchildren; several great-grandchildren; a daughter-in-law: Deb Heffron, O’Fallon, MO; and a brother-in-law: John Speth, Ellisville. She is preceded in death by her parents, two husbands; her son: Ronald Lee Heffron; one sister: Lois Speth and one brother: Edwin Wilkinson and his wife Grace.